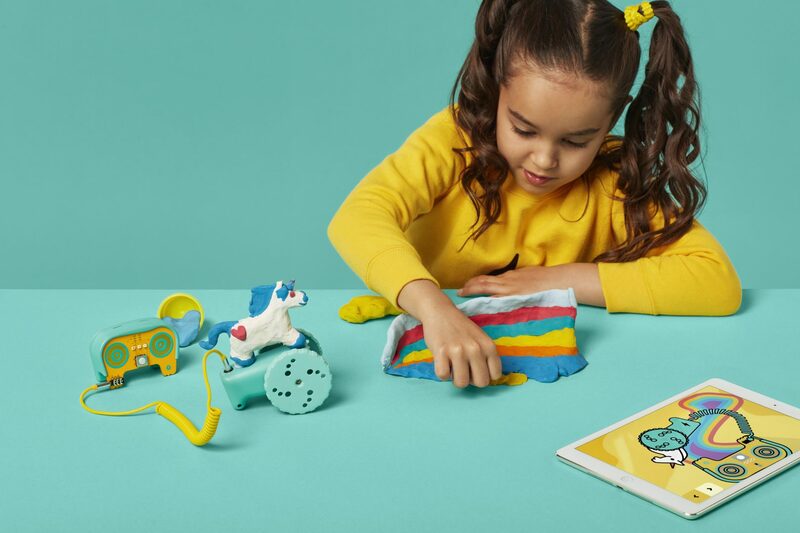 Dough Universe - the latest launch on Kickstarter from London-based startup Tech Will Save Us - is a fun, updated take on a classic for kids to learn about electronics, with good old-fashioned dig-your-fingers-in-and-get-squashy play. 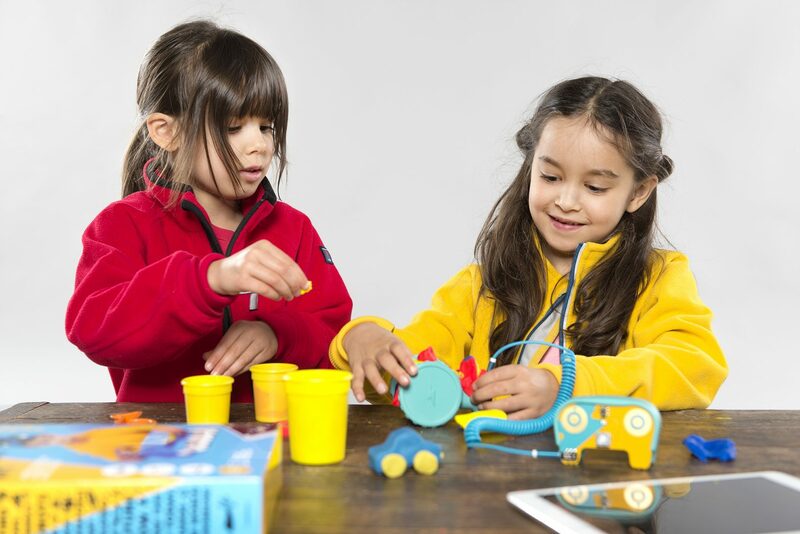 The world is quickly embracing STEM Learning for children’s toys and numerous startups are constantly appearing to fill that need. Tech Will Save Us is on a mission to spark creativity and imaginative play using technology. 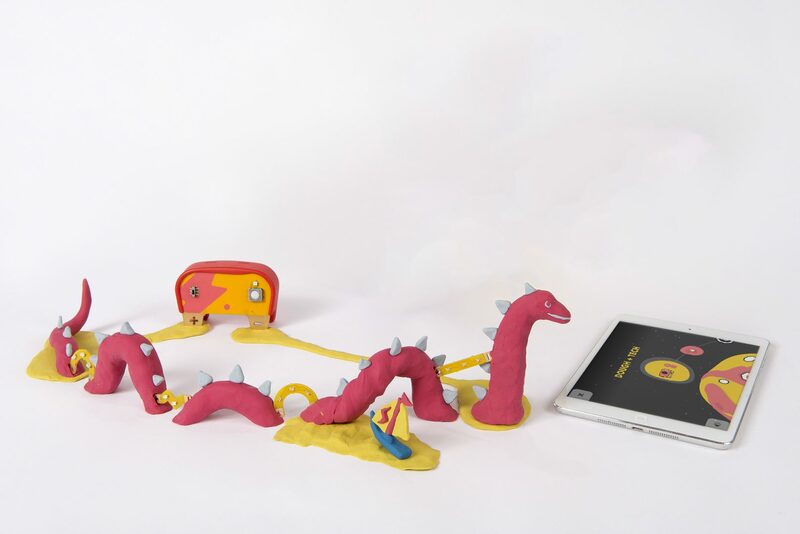 Dough Universe aims to help kids learn about the fundamentals of electricity through light, movement, and sound, with a Kickstarter campaign supporting three new make-it-yourself kits – creatures, instruments, and machines – that use conductive play dough and basic circuits. While users play a vital role in the development of the Tech Will Save US toy range, the educational play elements are also informed by research from psychologists and education experts such as Jean Piaget, Seymour Papert, and Maria Montessori. “We’re guided by this research and the key child development milestones. For example, at 4 to 7, kids are exploring materials which aid dexterity and spatial awareness. Our new Dough Universe kits allow kids to explore through play dough, but in a much more creative manner because of the greater opportunities provided by the electronic controllers and inspirational ideas included in the app,” she concluded. Ever tasted play dough? If you haven’t – it’s salty! Since electricity just loves salt and water, it’s perfect for making electronic circuits. The three Dough Universe kits are each sold separately or together. The Squashy Sounds Kit turns the plasticine into music instruments mimicking the sounds of a piano, guitar or drums, while the Bright Creatures Kit focuses on visual electricity in the created critters, giving the dough the ability to blink and flash with the help of LEDs and buzzers. The Electro Machines Kit encourages children to make their dough spin, move and roll by creating powered car units or helicopters. The kits are designed to be created using everyday kitchen items and AA batteries and include many fun projects that will appeal to adults as well as kids. A personal fave is the High Five Machine made with the Electro Machines Kit. To accompany the new products, Tech Will Save Us is also launching its first tablet app on iOS and Android to allow kids to use the digital world to bring the physical world to life. The kid-friendly app takes its users through a series of stories and challenges to guide play and show them how electricity works. Kids become the heroes in the story to bring the tech and dough worlds together. The Kickstarter campaign, which has already received $55,564 pledged from 508 backers of a $50,000 goal, runs through July 5, 2017. During this time, individual kits will be available for a special ‘dough-nation’ of $40 each (the $40 Squashy Sounds Kit has sold out and is now only available at $45), while the trio of kits will cost $100. There is also a range of additional pledge levels for activity kits or donations to causes that range from $250 to $5000. Kits will ship in November – just in time for the holidays. After the campaign, each Dough Universe kit will retail for $49.99. Any time that you can help educate kids with electronics, it is a great thing. Electronics are all the rage today and with the rise in technology, kids need a little bump in that direction. Playdoh is old school and its neat to see them advance for today’s youth. Just when you thought Play Dough was going to go away. Exactly. The company must have found a person with a younger brain to show them how their company can still be relevant today. Great work for that person. I am going to say it right now. Any product that helps adults teach children about electronics, robotics or anything computer related is going to take off like a rocket. It is a great industry to be in and a very good one for the future. Play Dough is popular and kids know what it is. Electronics are popular and kids know what they are these days. Why not put the two together? Any time that you can get kids to think about how electronics works is a good thing. These types of products are great for the schools that are leaning towards the fact that electronics and things like that are popular with young children and teens.